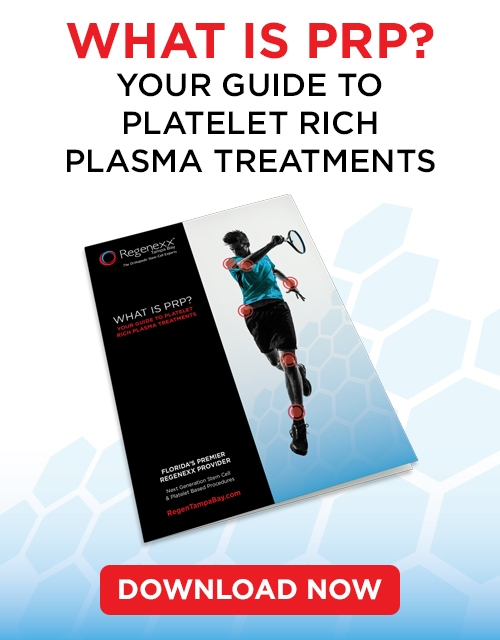 Over the past several years, stem cell and PRP (Platelet Rich Plasma) injection therapies have become highly sought after treatment options, as a non-surgical, and non-drug alternative for many common orthopedic problems. These common issues include shoulder pain from rotator cuff tears, joint pain from arthritis or a meniscus tear, instability from knee-related ACL ligament tears, tendonitis, back pain from herniated discs, and many others. PRP and stem cell injections are natural and safe and have the potential of re-growing or strengthening damaged tissue, improving function, and sometimes eliminating the need for surgery. 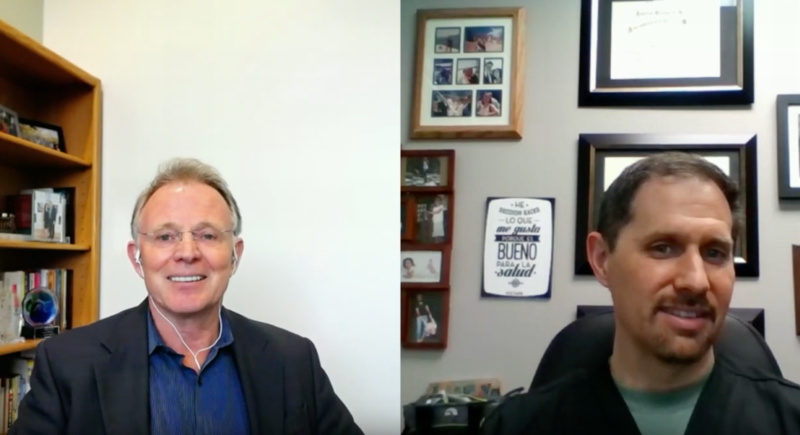 Recently, our own Dr. James Leiber sat down for an interview with Dr. Steven Masley to discuss indications for stem cell and platelet therapy, who is a good candidate to receive them, medications that limit the benefits of stem cell therapy, and other stem cell controversies and concerns. Check out the interview below. Dr. Masley himself was faced with daily knee pain and the dilemma of what to do. He blew out his right knee downhill skiing in 1990 and five knee surgeries later had developed advanced osteoarthritis. Read more about his experience with seeking out a low risk, long term treatment option and discovering Regenexx here. 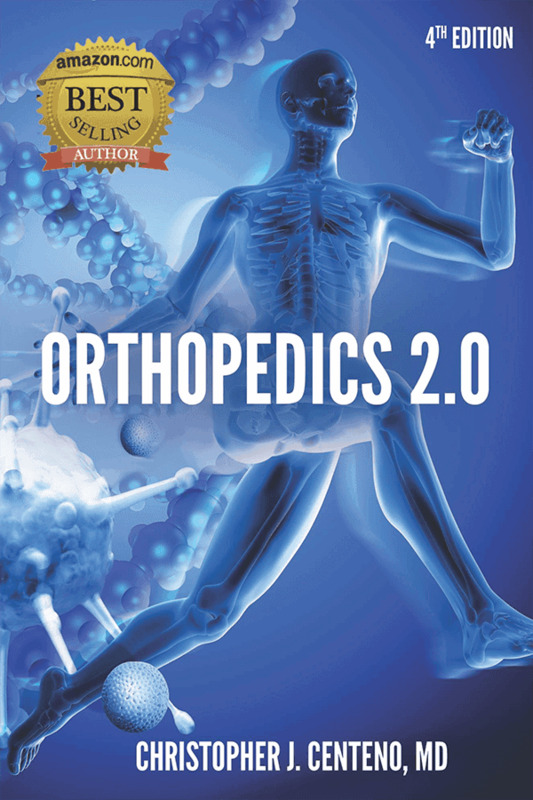 Since 2005, Regenexx has led the way in advancing this new field of Interventional Regenerative Orthopedics with a commitment to researching and publishing the much needed scientific and clinical data –- more than 50% of the world’s nonsurgical orthopedic stem cell literature has been published by Regenexx and greater than 84,000 Regenexx procedures have been performed. A team of professional researchers also tracks all of the patients for safety and outcomes. This is crucial to be able to discuss the chances of improvement and realistic expectations. All Regenexx affiliates are highly trained in the use of image guidance (ultrasound and fluoroscopy) for precise injections into the damaged tissue. There are many misconceptions and misinformation about PRP and stem cell procedures out there. Be sure you are getting the right information by contacting the stem cell experts at Regenexx Tampa Bay.